A slim fit that sits next to the body. A trendy garment-dyed stretch cotton twill. A range of fashion colours. In a lightweight version, these chinos confirm their personality! Slim fit. Waistband with belt loops, zip and button fastening. 2 slant pockets + 1 coin pocket. 2 piped button pockets at back. Contrasting inside waistband with taped edge. Inseam 85cm, leg width 17cm approx. 98% cotton, 2% elastane. Garment-dyed treatment. 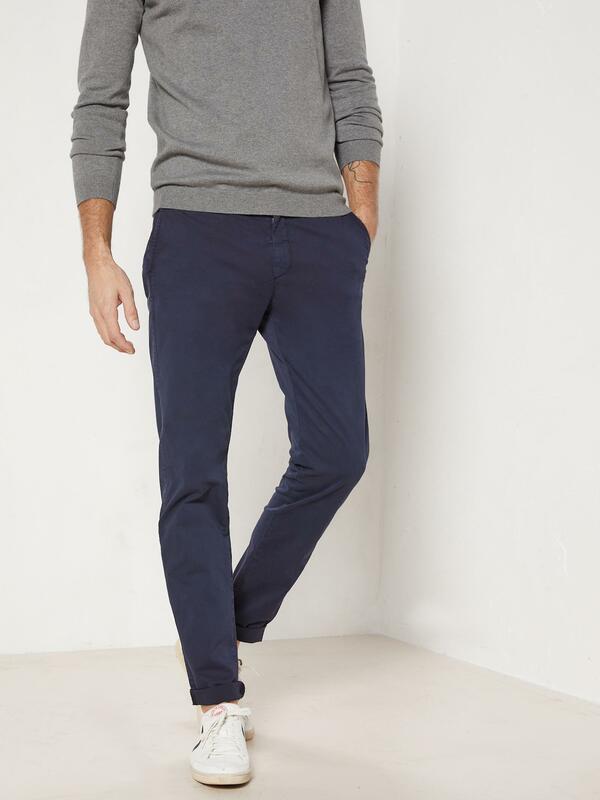 The slight nuances in shade or finish are sought-after effects: these chino’s unique look is due to the garment dyed treatment.